I had posted this on The Herd back in December, but now that the AAF season is underway, I thought it was worth posting again. What is the AAF? No, it isn’t a new government agency spying on you through your iPhone in order to send you ads about your favorite mint chocolate chip ice cream. No, the AAF is something way cooler than that. The AAF (Alliance of American Football) is a new spring league for pro football with mostly the same rules as the NFL. It is unrelated to the NFL, although many players and people who’ve been involved in the NFL, are also involved in this new league. Put simply, it is a B league made up of 8 teams with games beginning February 9, 2019. The season is 12 weeks long with the Championship being played the weekend of April 26-28. The season opener, one game/week and the Championship will be televised on CBS. All other games can be viewed through the AAF app. For more information about the league and teams go check out aaf.com. I love this because it means more football to consume during the slow months leading up to the draft. It is also another opportunity for former NFL players and college players with less notoriety to work their way onto NFL rosters potentially. Who doesn’t love a good Kurt Warner working in a grocery store story right? How does all this relate to the Rams? Well, there are several former Rams in the AAF. So let’s take a look. The most notable name? Head coach f the San Diego Fleet, none other than Mike Martz, former offensive coordinator and head coach of the then STL Rams. Last seen in the NFL in 2007 with the Detroit Lions, Martz had a reputation for leaving quarterbacks exposed and airing the ball out. Much of a love/hate guy for Rams fans, it’ll be interesting to see what he does in the AAF. With a .609 winning percentage, he likely is looking to air the ball out again while NOT being a buddy to any young quarterbacks. Next up? GM for the Atlanta Legends, the second part of the four pillars movement, Billy Devaney. Former GM of the Rams from 2008 to 2011, he was last seen working as Executive Director of player personnel at the University of Nebraska-Lincoln in 2017 and as an analyst for ESPN. Devaney worked alongside Steve Spagnuolo to implement the four pillars. Notable draftees include; Chris Long, James Laurinaitis, Sam Bradford, Rodger Saffold, and Robert Quinn. Other names you may remember; Donnie Avery, Jason Smith, Mardy Gilyard, Fendi Onobun, Lance Kendricks, and Austin Pettis. I could go on, but the list ain’t pretty. That is how you get to a 12-64 record. Ready for an actual player? Look out for Zac Stacy. Yikes! Am I right? Stacy was a running back who had a little, albeit short-lived, success with the Rams. 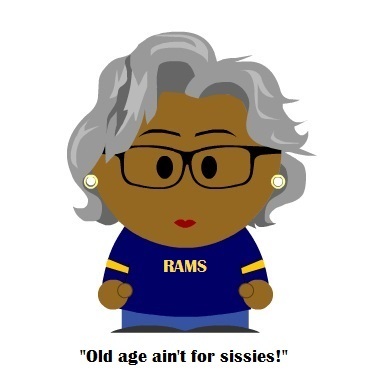 Taken in the 5th round of the 2013 NFL Draft, Stacy played, well…like a ram from 2013-2014. His rookie year saw him rumble to 973 yards, 7 touchdowns, and a 3.9 YPC. Then he stumbled to the tune of 293 yards and one solitary touchdown in 2014 while another Ram’s running back garnered more attention. Then in 2015, came Todd Gurley and as fast as the famous ‘Yikes’ tweet came, Stacy’s career as a Ram ended. Last seen with the Jets in 2015, Stacy looks to continue playing the game with the Memphis Express. All Aboard! Next up, the great white hype himself. Compared to every other white receiver known to man and still managing to never stick on a roster. You guessed it, Nelson Spruce. Spruce was an UDFA for the Rams who saw some minor pre-season success with the Rams from 2016-2017. Oft-injured, Spruce although a solid route-runner with solid hands, could never quite make the roster. Spruce was like a really overhyped Cooper Kupp. He is everything you want out of a white receiver; sneaky athletic, coach’s son, squeaky clean off the field. I joke, but in all seriousness, Spruce just wasn’t good enough for the NFL and injuries didn’t help his ability to stick around. Last seen fighting for each other and for a spot on the Charger’s practice squad this pre-season, Spruce yet again didn’t make it. Now he’ll look to see if he can find some of the success he had at Colorado with Mike Martz and the San Diego Fleet. Lastly, we have a speedy receiver who at one point looked like he would become a consistent deep threat for the Rams and then seemingly fell off the face of the earth. Chris Givens, drafted in the 4th round of the 2012 NFL Draft came into the league and put up 698 yards and 3 scores and looked to continue to develop into a good player. Then he became a one-trick pony that couldn’t even master that one trick. Scoring only two more times over the course of the next four years, he was last seen in 2016 with the Eagles before being cut and playing 2017 in Canada. Givens looks to go deep for the Memphis Express this year. Ultimately, we’ll see if the AAF is successful in any capacity. Hopefully it is and some players can find their way onto an NFL roster because of it. Maybe we’ll even see some former Rams have some success. Maybe there is a gem or two that earns a shot with us someday. Regardless, it will be interesting if nothing else and offers another opportunity to watch football in the months that football goes quiet besides draft talk. Listed below are other notable Rams players who you may remember as well.